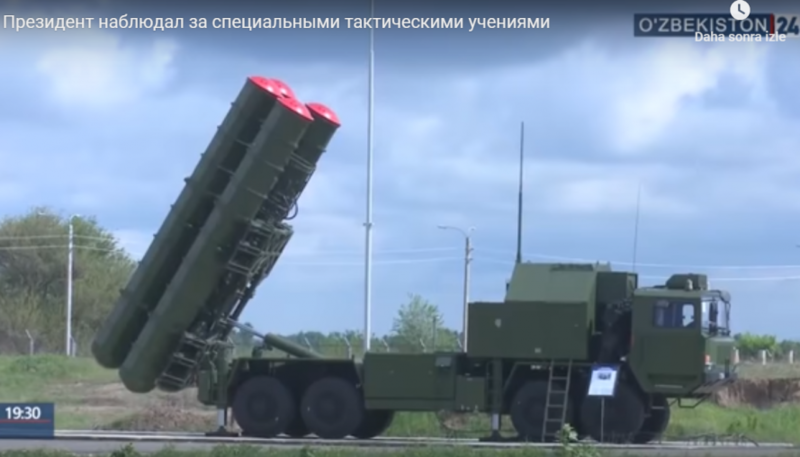 The Uzbekistan Armed Forces has demonstrated for the first time the Chinese-made FD-2000 air defense system. FD-2000 air defense system has been shown in tactical training of the army, RDS reports. Uzbekistan television broadcasts the training. It can perform air-defense engagement mission in massive air raid under intense electronic jamming. It can intercept not only aircraft, armed helicopter and UAV, but also cruise missile, air-to-ground missile and stand-off precision guided bomb. The FD-2000 was unveiled for the first time to the public at the 8th Zhuhai Airshow in 2012. The export version of HQ-9 provides extra anti-stealth capability by incorporating YLC-20 passive sensor as an option. HQ-9 is a two-stage missile. The first stage has a diameter of 700 mm and the 2nd stage 560 mm, with a total mass of almost 2 tons and a length of 6.8m. The missile is armed with a 180 kg warhead, has a maximum speed of Mach 4.2. and has a maximum range of 125 km up to an altitude of 27 km.